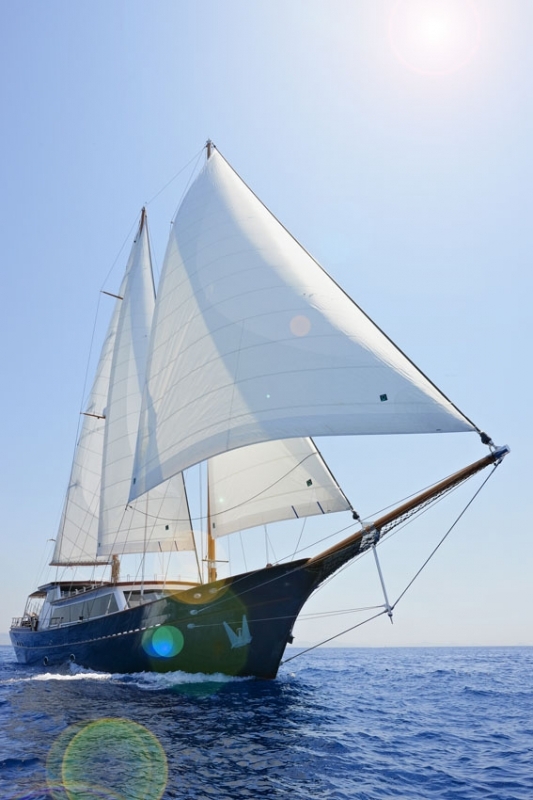 She one of the most impressive Charter Yacts in the Mediterranean! 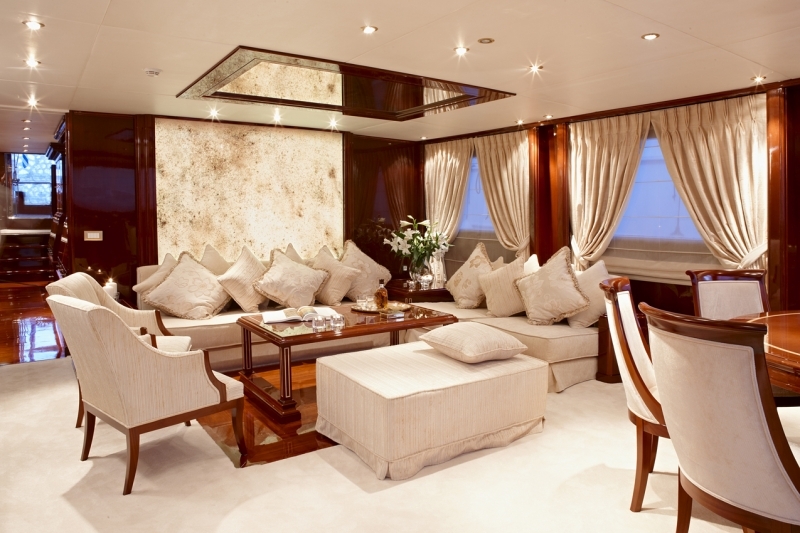 This unique 117 feet Ultra Luxurious Motor Sailer, impresses even the most demanding guests with her lines, her classic yet very stylish decoration, her expensive materials and her carefully selected accessories. 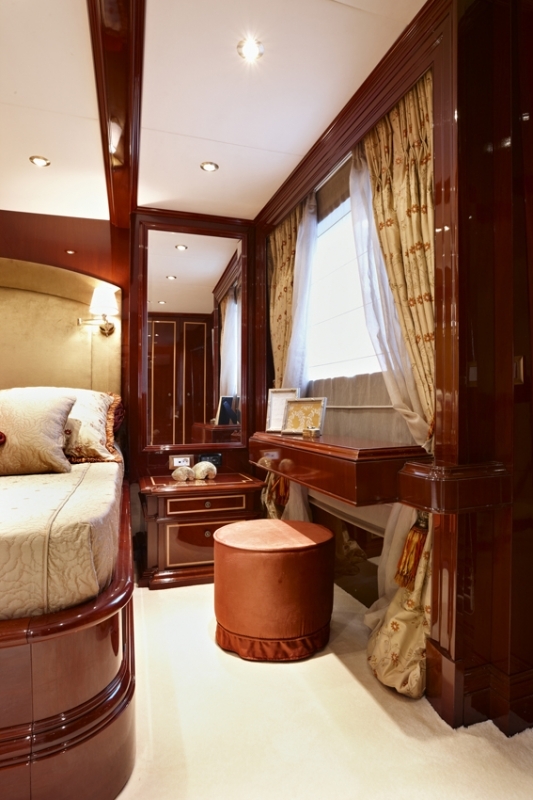 Her stabilizers that ensure comfortable sailing even with severe weather conditions, her parallel air condition and central ventilation system that ensures odourlessness, the piano and other important details, make the difference and ensure perfect customers satisfaction. 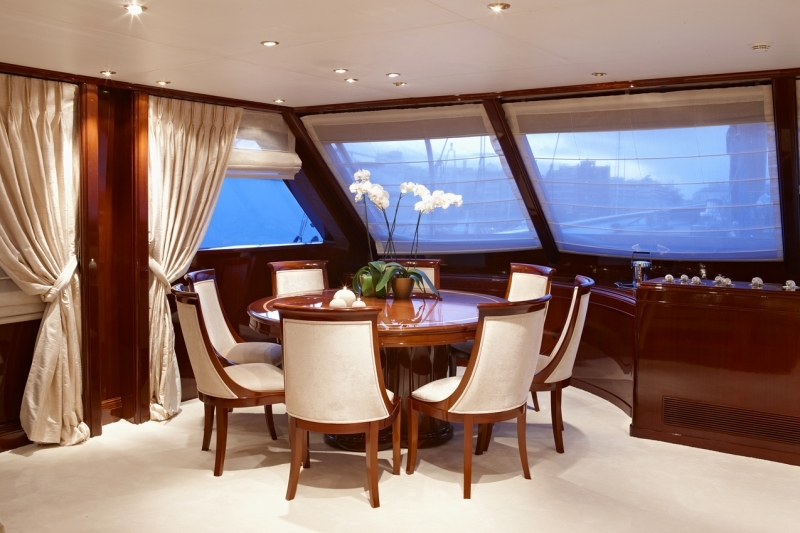 She is the ideal charter Motor Sailer, in Greece/ East Med, as she has 6 very spacious cabins, which accommodate 12 to 14 guests in ultra luxurious comfort. 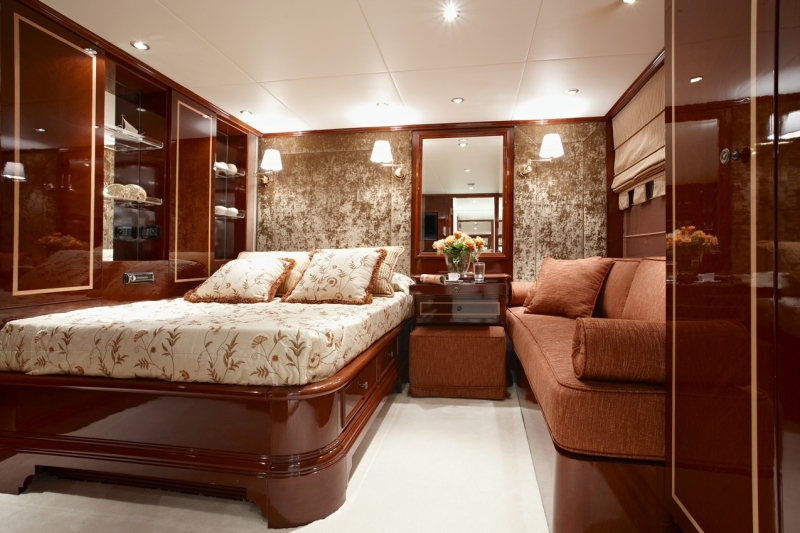 The master cabin, located on the main deck and the VIP cabin, located on the lower deck, each have a double bed. 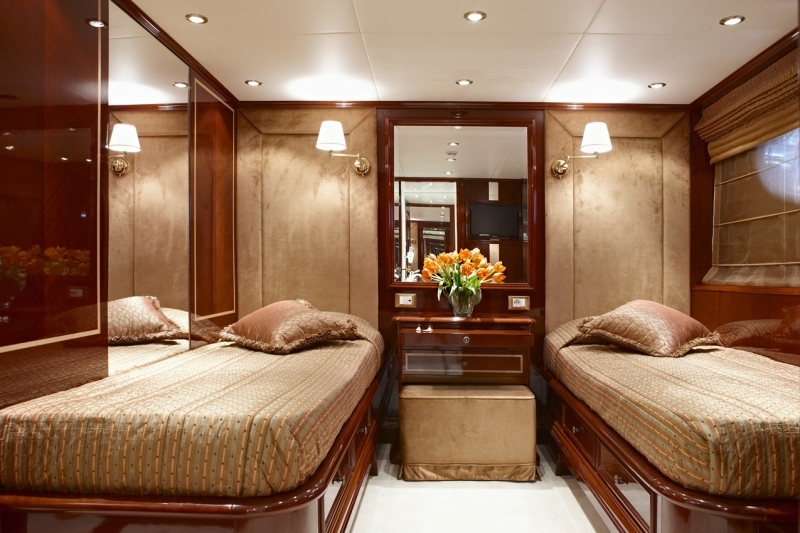 Two cabins have double beds and one single bed/sofa, making them perfect for children or a couple. 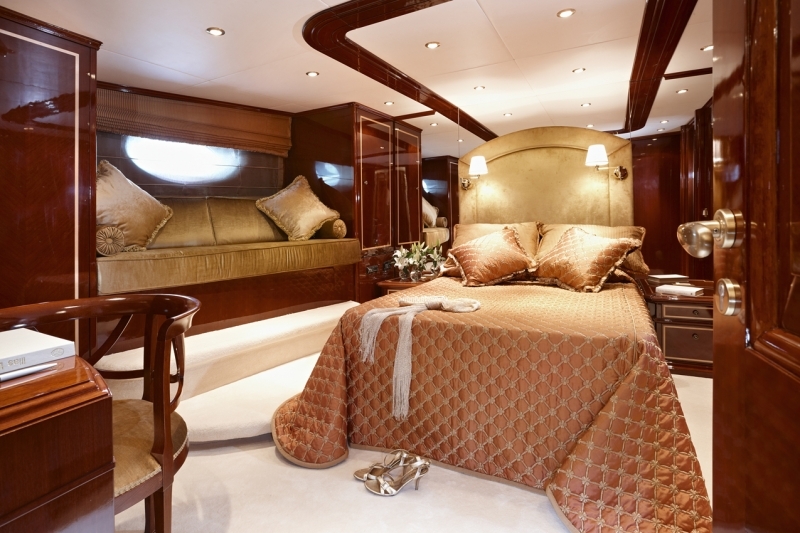 There is one cabin with a double bed and the final cabin has two twin single beds. 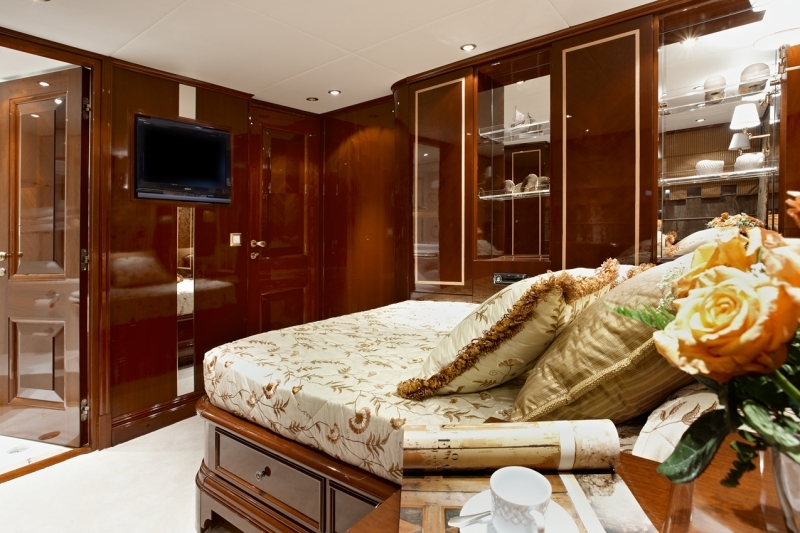 Each cabin has facilities en suite, hydro jet showers and individually controlled TV, DVD, CD, MP3 and radio stereo. The bathrooms are wonderful, with marble and some with double sinks for added convenience. The ultra luxurious salon has a piano and along with the dining area create one large open area. 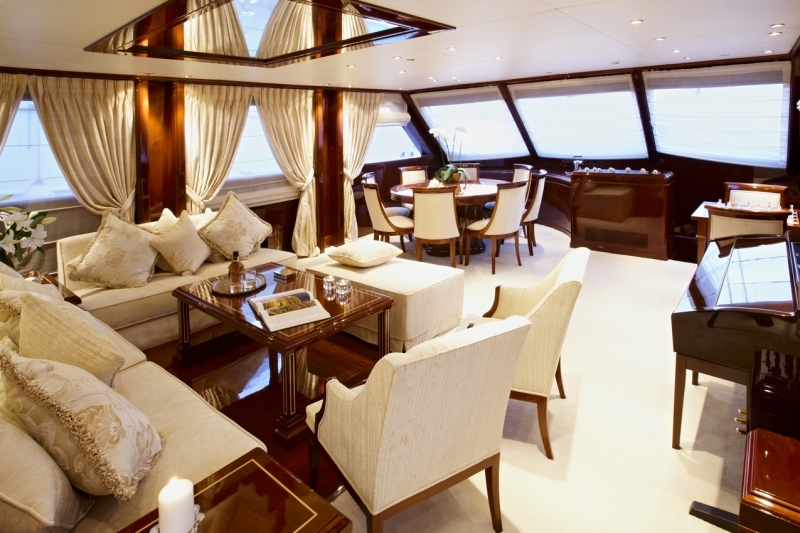 The large panoramic windows throughout the yacht allow breathtaking views. 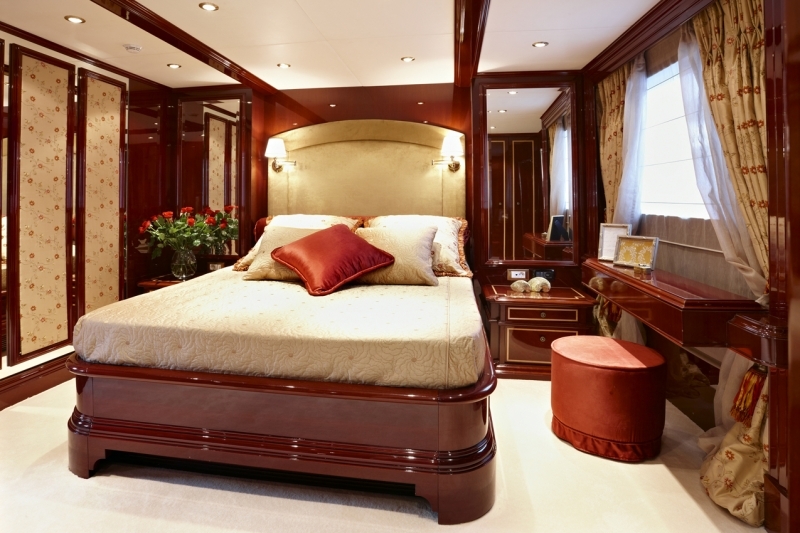 Beautiful rich reddish woods are throughout the yacht. 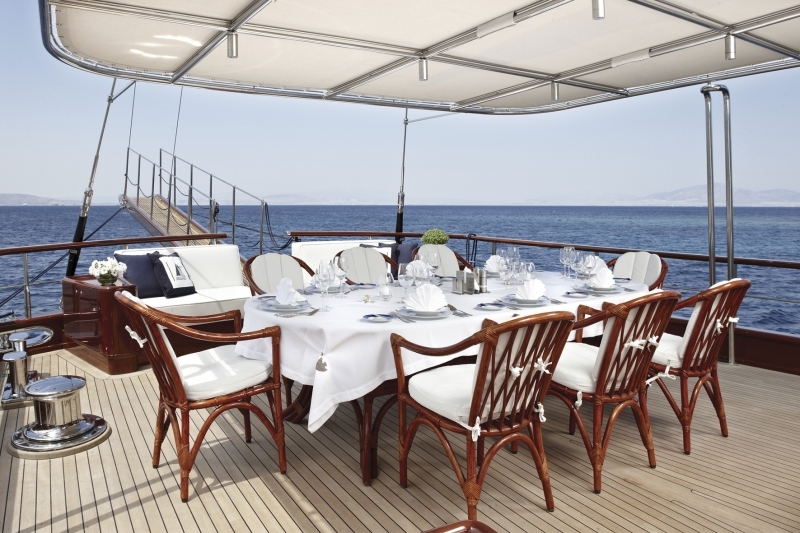 On deck, there is a large elevated area for sunbathing and a fore space for sitting and enjoying the views. 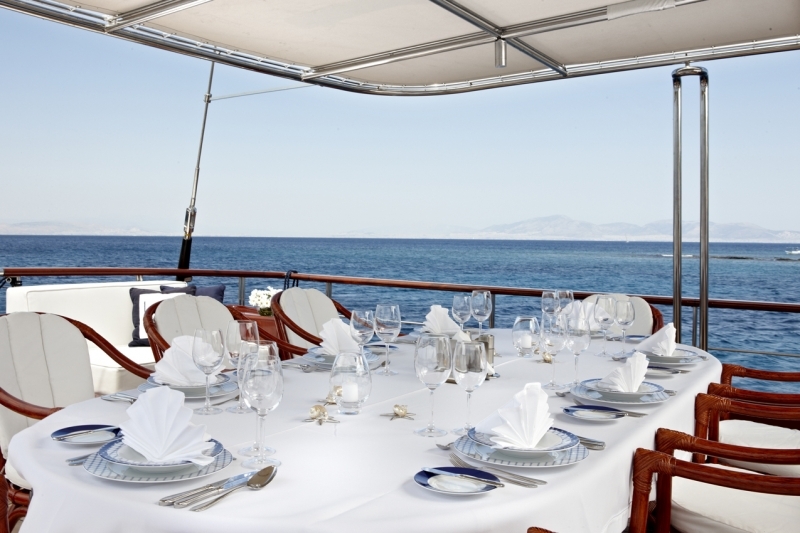 A fantastic crew of 5-7 tends to guests' needs, including a talented chef. 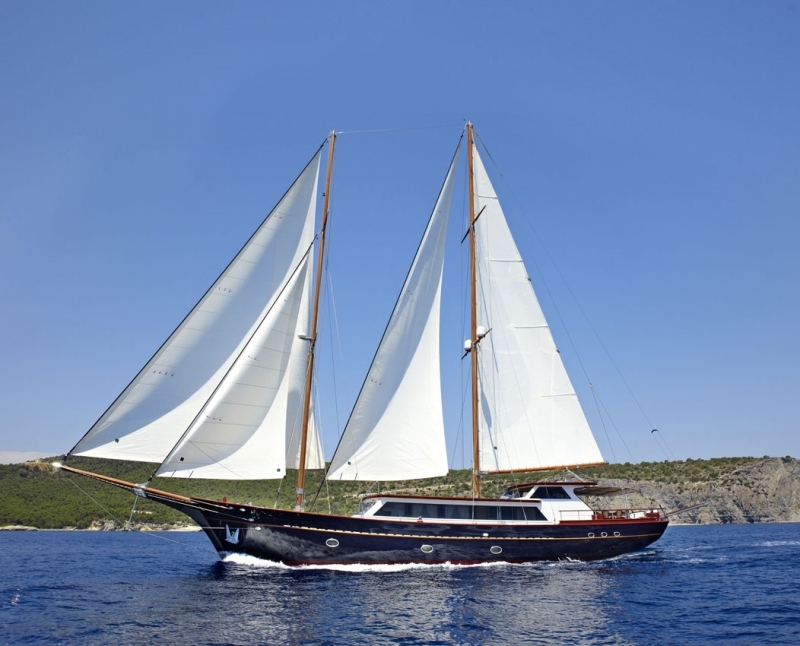 Rent this fabulous yachts and experience amazing sailing holidays in the Greek islands and the East Mediterranean.